Resveratrol is a potent natural polyphenol found in common foods, such as peanuts, grapes and red wine (pinot noir is highest), and some berries. Though the content of these food does vary, and may not be considered a therapeutically reliable source of resveratrol. 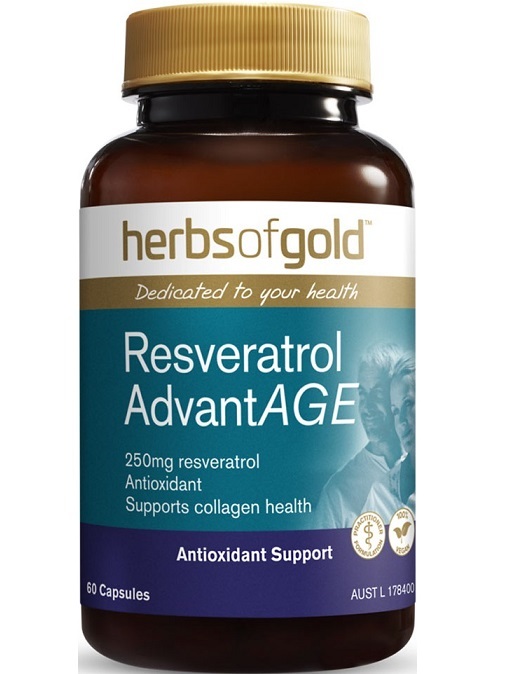 Each capsule of Herbs of Gold Resveratrol ADVANTAGE contains 250mg of resveratrol, along with a range of accessaory nutrients, including vitamins, amino acids and zinc. Resveratrol is perhaps one of the most exciting nutrients—if indeed nutrients do excite you, as they do the author—to be discovered and researched in recent times. This is due to the interesting data that has been coming out of both rodent and human research regarding its anti-ageing or longevity-promoting effects. This polyphenol has been shown to mimic the effects of caloric restriction. Calorie restriction (with adequate nutrition) is well established to delay a number of age-related chronic disease, such as osteoporosis, sarcopenia, cardiovascular disease, diabetes, cancer, brain atrophy and more1. So it would be reasonable to assume that at least some of the benefits of calorie restriction will be derived from resveratrol supplementation. Resveratrol also has some interesting research behind it with regards to improving mitochondrial health. The mitcohondria is an organelle found within the cell, with the very important task of producing ATP, the universal energy source. As you can probably imagine, with the lifestyles of those living in developed nations, we can put a bit of a strain on the mitochondria. Resveratrol has been shown to increase mitochondria-located antioxidant enzymes, leading to a reduction in reactive species, thus protecting this area of the cell3. Early research indicates that resveratrol may increase oxygen consumption at rest, boost ATP levels and decrease lactate4. The clinical implications for the management of fibromyalgia and chronic fatigue syndrome are not to be understated. 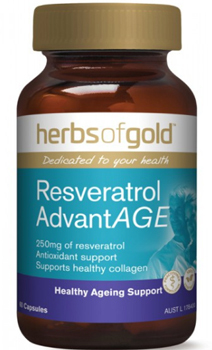 Herbs of Gold Resveratrol ADVANTAGE is an excellent product that can support wellness, and assist in the management of a number of health conditions. Adults and children over 12 years – Take 1 capsule daily, with food or as directed by your healthcare practitioner. 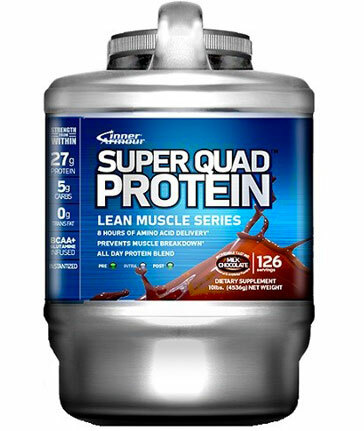 Does not contain added egg, milk, peanut, tree nut or animal products, yeast, gluten, lactose, artificial colourings or flavourings.